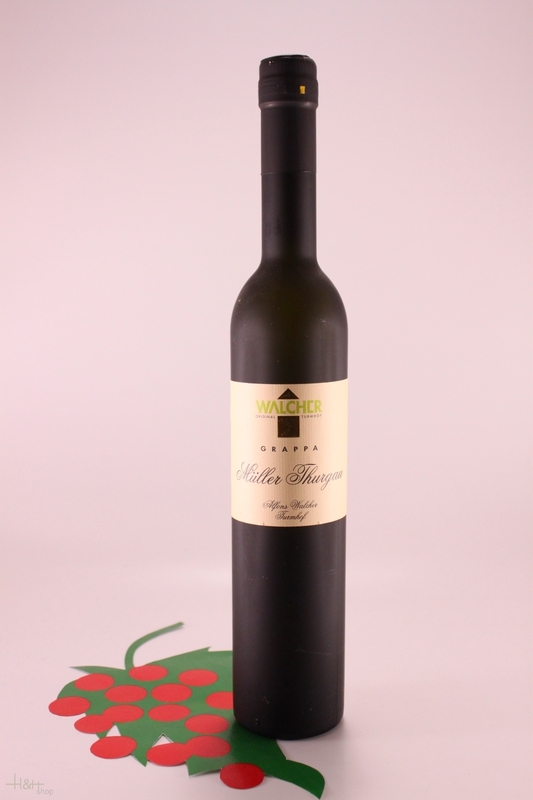 Product feature: Grappa Müller Thurgau is distilled grapes of high-altitudes vineyards. Taste: Vanilla and nut mark the flavour. Pleasantly softly on the palate.